Today marks the 1 year anniversary of suddenly losing my wife. Unexpected and quick, woke up in the morning, took her to the hospital, and my world was shattered that evening while watching the staff trying to bring her back. As she always supported and encouraged me to do more with my photography, this blog is dedicated to her as I return to taking photos. 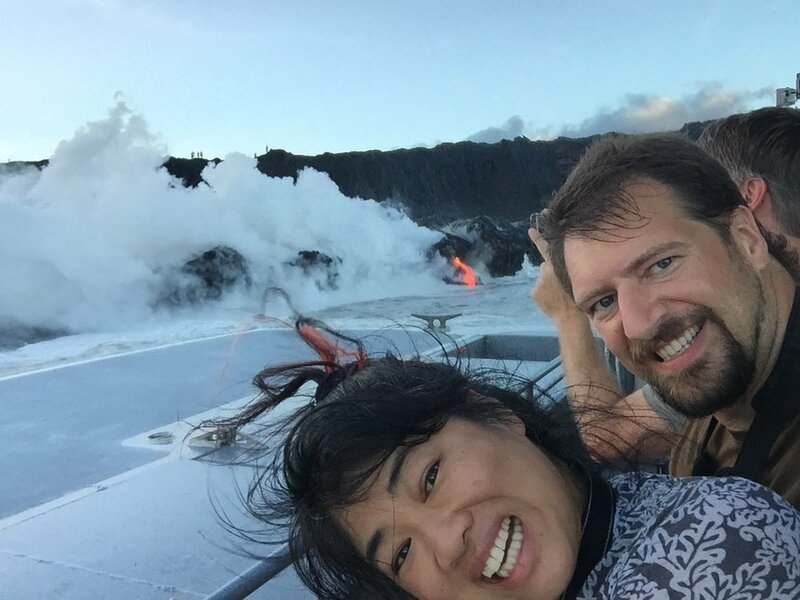 Last May Leah had booked a trip back to Hawaii, staying in Punalu'u, to visit the Kilauea eruption and the ocean entry from lava flow 61G. We were fortunate enough to see it back in August, 2 months before she passed. It had been a life long dream of hers to experience it and had always just missed it, the timing had never worked. A trip would be planned and it would stop just before or would start a couple months after. On this trip, there were two hurricanes headed towards Hawaii, projected to reach the morning of our boat tour, which was canceled... Luckily we were able to join the previous evenings tour at the last minute and were able to at least experience it, even if it wasn't at dawn. The trip in May was our time to revisit, with a week by the park, so we would have plenty of time to explore the flow. As I processed my emotions, I took the dawn boat ride out to the ocean entry, dancing between the surf and the open maw of the earth while struggling to accept the prospect of continuing without my captain. For the trip, I still had a roll of Provia 400F (discontinued a few years back) in the fridge, which seemed like a fitting pair. I was not sure how well the slides would turn out, with an extreme dynamic range and slow film speed combined with the surging surf.